LED Filament Candle Lamp 4W SBC 450lm A++ is rated 4.3 out of 5 by 9. Rated 1 out of 5 by MikeyMac from Unreliable Was impressed. I gave a good light using hardly any power, but it barely lasted a month. It's flickering on and off. So much for however many thousands of hours it was going to last. Rated 4 out of 5 by BillyBoy999 from Look good. Flicker free and pleasant light. Rated 5 out of 5 by Bosun999 from Cheapest I could find on the net. Great bulbs, give off good light. Half the price of most other suppliers. Rated 4 out of 5 by EvenOlderbugger from They give quite a good light for the power consume I first bought four of these a few months ago to replace standard bulbs in a chandelier. Being virtually a point source they are not too bad with the crystal, though not quite the sparkle that you get with an incandescent bulb. Biggest advantage was they do not get anywhere near as hot and I was having trouble with the bulb holders in the fitting as the heat was destroying them. Only disappointent was that one of them has died already despite claiming a very long service life. If any more die I will revise my review to negative but at the moment they are performing O.K. 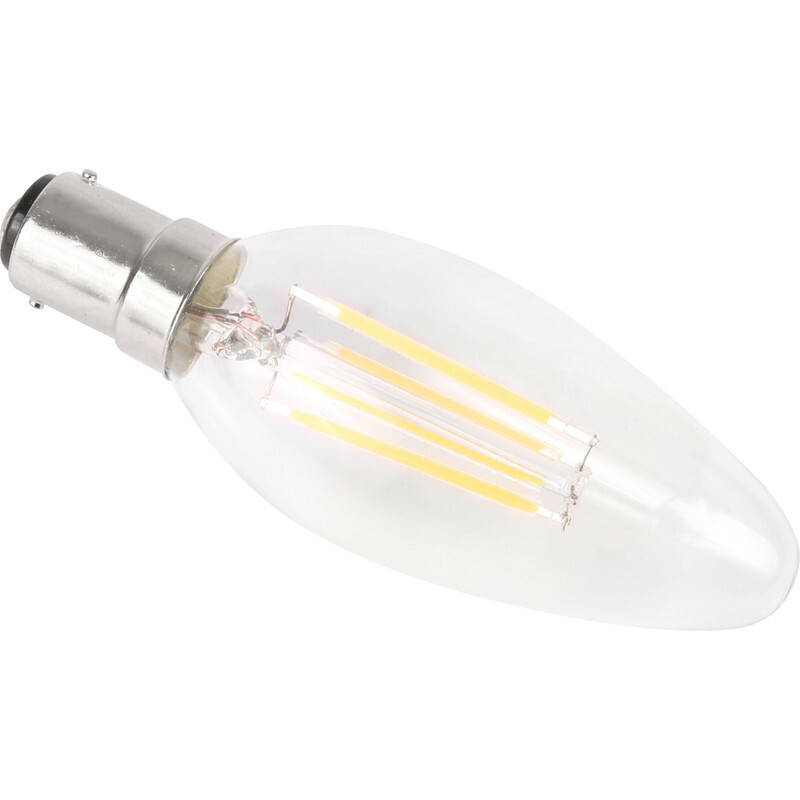 Rated 5 out of 5 by jeremykarl from Perfect replacement for traditional bulbs This style of bulb looks good as well as producing a decent light. LED lighting is instant and has no unwanted UV component too (in contrast to low wattage bulbs based on fluorescent tube technology). These produce a nice warm light similar to that of a traditional tungsten bulb.